The Best and Most Favorite Supplier Ever! 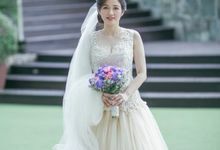 Trusting Eric Chua Photography was the best decision we ever made during our wedding. We booked them to only take our pre-nup and wedding photos but they were with us through our journey; from the preparations to the special day itself –even after that, to be honest. At the day of our wedding something unfortunate happened with one of our suppliers but a really, really huge thanks to Eric and his team for guiding us and prevented our special day to be full of trouble –until now we’re still very thankful, that every time we reminisce our day, Eric and his team were always in the picture. Their professionalism is unquestionable but at the same time they will make your experience ecstatic. Totally recommending them for your big day! As for the outcome of their shots, it surpassed our expectations. If we were asked to grade the pictures, we will definitely give them an A+. Also, if you have trouble finding yourselves awkward and shy from the camera, I swear, Eric and his team will make you comfortable in front of their lenses! Eric and his team are very much accommodating. They are easy to work with. Gives suggestions and recommendations according to needs of clients. Having Eric Chua Photography as our official photographers were very fun to be with and professional at the same time. 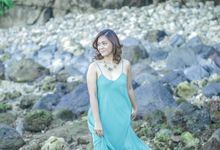 We recently shot our pre-nup at Anawangin beach cove in Zambales, Philippines. It was an out-of-town location and we were all ecstatic with this shoot. They were on-time and did not complain, especially when we were forced to walk the longer route going to the light house. 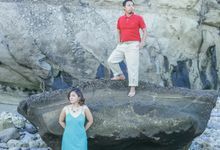 Rather, they made use of the rocky beach that we were on, and made it as one of our layouts. Turns out, this layout was one of the more beautiful shots we had. They were able to release the pictures in less than a week; and the pictures were LEGEN...wait for it...DARY! Now, we just can't for our wedding day!